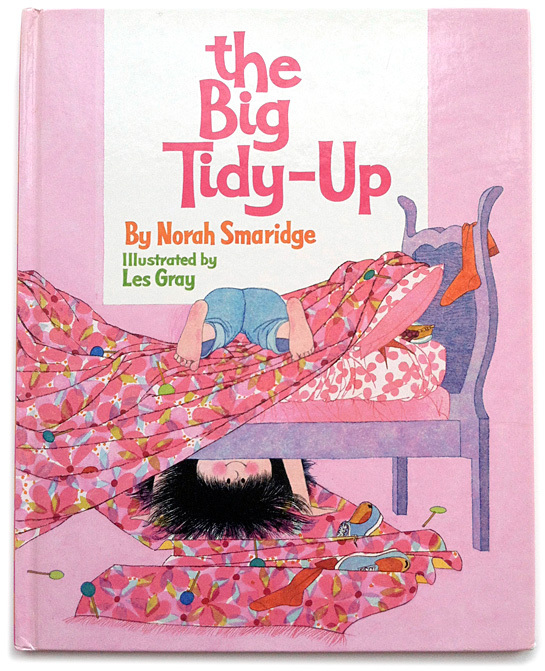 Above: Endpapers for The Big Tidy Up by Norah Smaridge, illustrated by Les Gray. 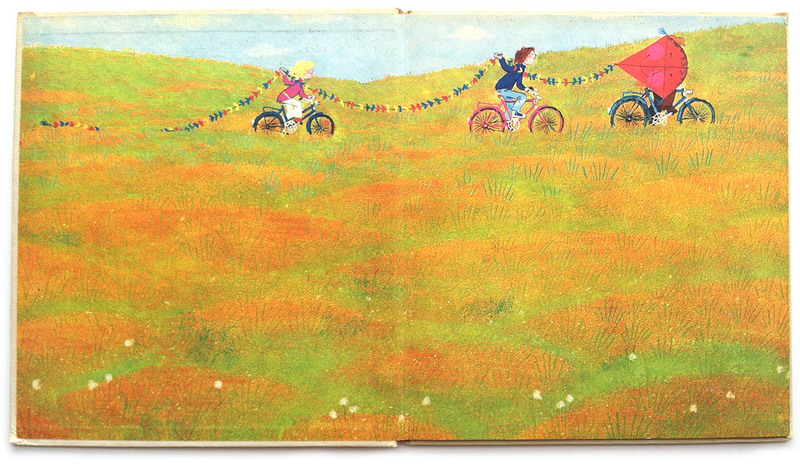 I love opening a children’s book to find beautiful, surprising endpapers inside. Here’s a round up of some of my favorites. 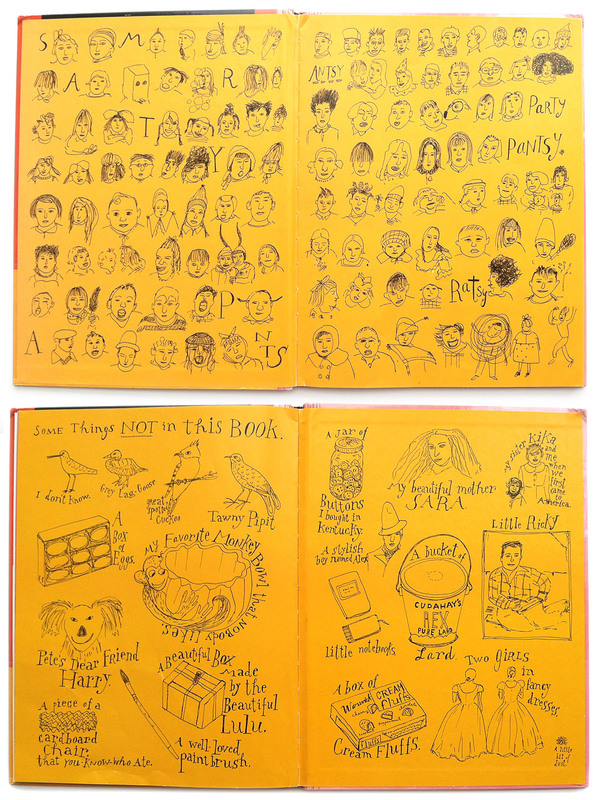 There are two different ways a picture book can be produced when it comes to endpapers—also known as ends or endsheets. Self-ended books are printed on the same paper as the rest of the book and are included in the typical 32-page count. With separate-ended books the endpapers are printed on different paper than the rest of the book and not counted in the 32-page count. 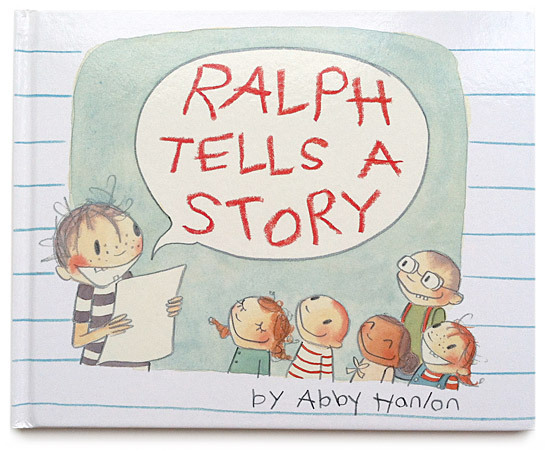 For a more in-depth explanation, check out Tara Lazar’s post on picture book construction and this post on basic book construction on Editorial Anonymous. So when is the decision made to include printed endpapers in a book? Cecilia Yung, Vice President and Art Director of G. P. Putnam’s Sons and Nancy Paulsen Books, graciously and thoroughly answered my questions. Robin: At what point in the process does the publisher decide whether or not a picture book will have illustrated endpapers? Is this decision made with the illustrator and author, or is this usually more of a budget and production issue? 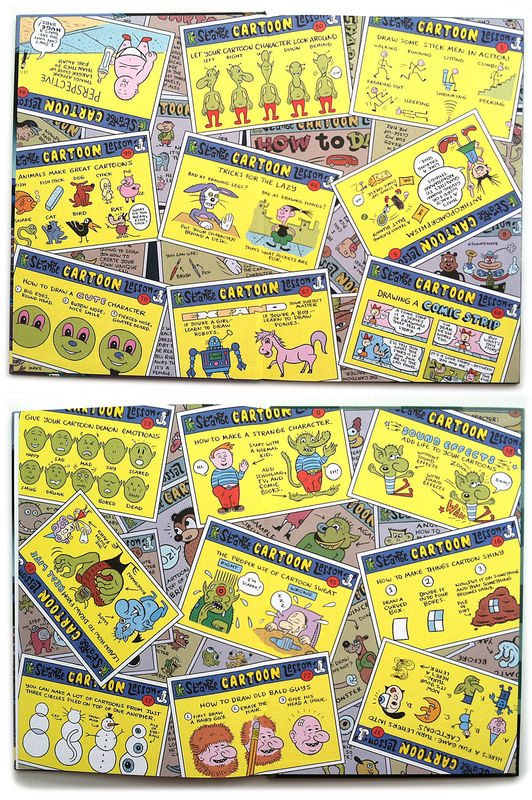 Is it usually up to the illustrator to pitch the idea for illustrated endpapers? Cecilia: It depends on the book, but the idea can come from any of us working on the book—the illustrator, the art director, the editor or the designer. (The author is rarely involved with this aspect of the book.) Sometimes the story needs to be longer than 32 pages but not as long as 40, so it becomes a 40-page book with self ends. In this scenario, the endpapers can be used as part of the narrative. Sometimes the book needs to include interesting visual information that is not a critical part of the story (like a map), so it can be used on the endpapers. Sometimes there is an image that reinforces the story or the mood of the art, and that becomes a decorative endpaper. If everyone agrees that it is a good idea, we check with production to make sure that the budget can take it. 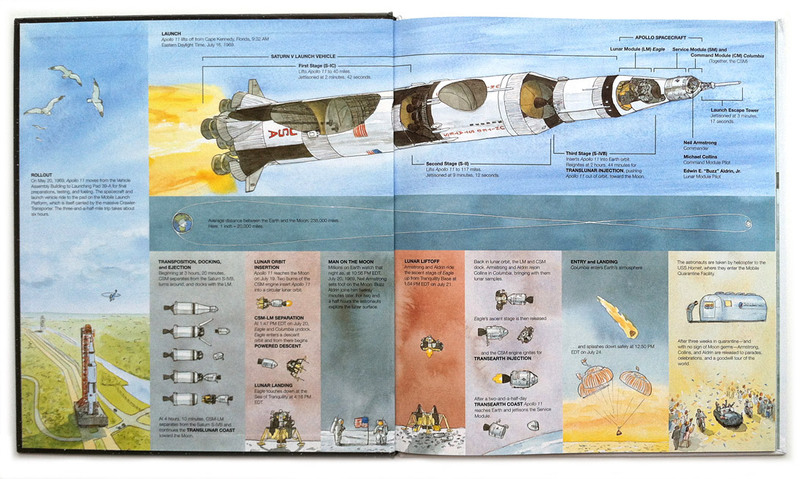 Robin: Are illustrated endsheets only used in conjunction with the self-ended book format? Can they be used with separate-ended books as well? 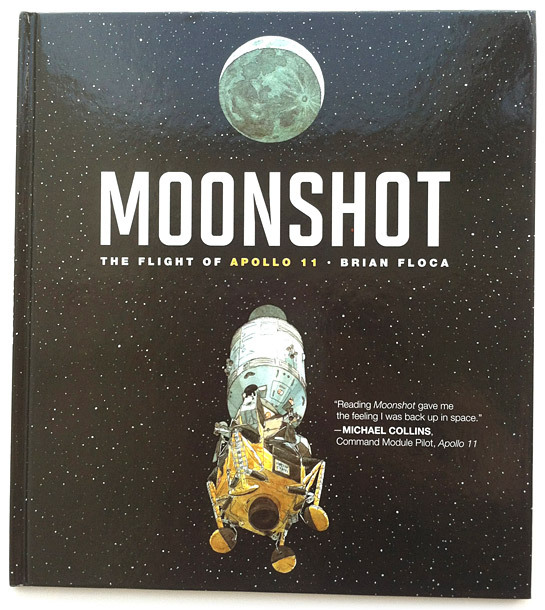 Cecilia: When the book has self-ends, the page can print in full color. When the book has separate ends, it needs to print as one- or two-color. The main difference is that self-ends are part of the pagination of the book and cannot be dropped in future editions, whereas separate ends can be dropped, so we never put critical information there. Robin: Do you have any favorite books with extra special endpapers? 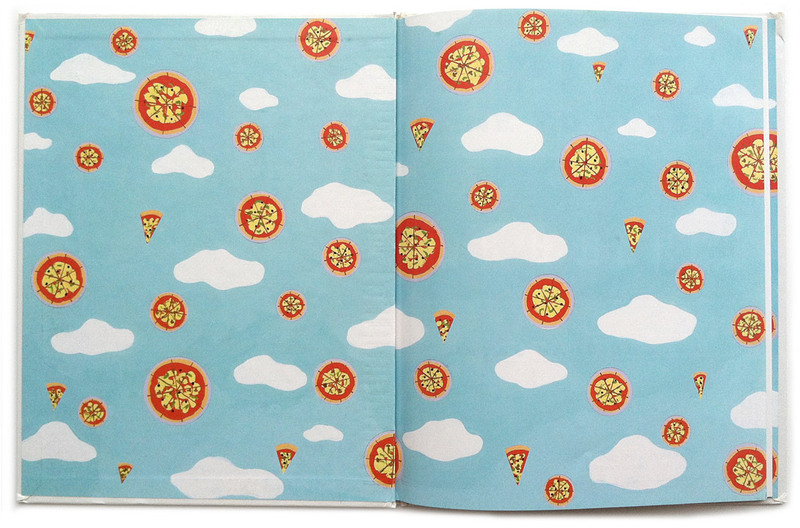 Cecilia: The Nice Book and Love, Mouserella by David Ezra Stein both have very creative use of two-color endpapers. Bad Apple by Edward Hemingway has a gradation that mimics the dimensionality of a red apple. Knit Your Bit by Deborah Hopkinson has archival b/w photos from the period that inspired the story. Thanks Cecilia! Here are some more of my favorites. (Thanks to Rory, Tika, and Liz for contributing their favorites as well.) What are your favorite endpapers? Tell us in the comments! 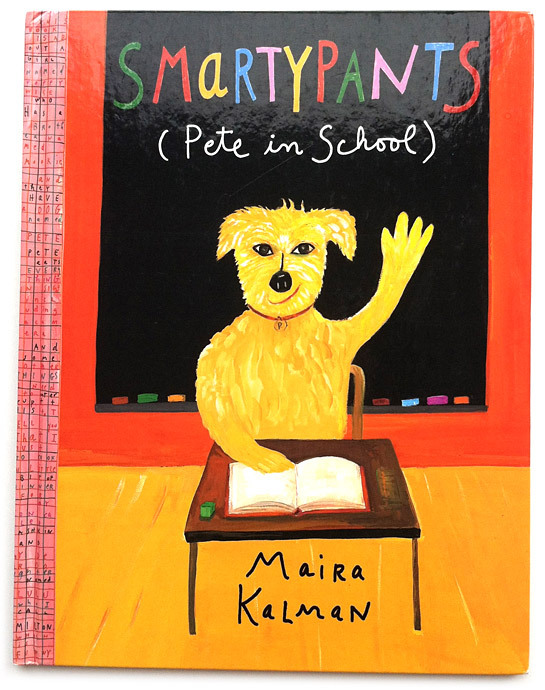 Cover for Smartypants (Pete in School) by Maira Kalman. 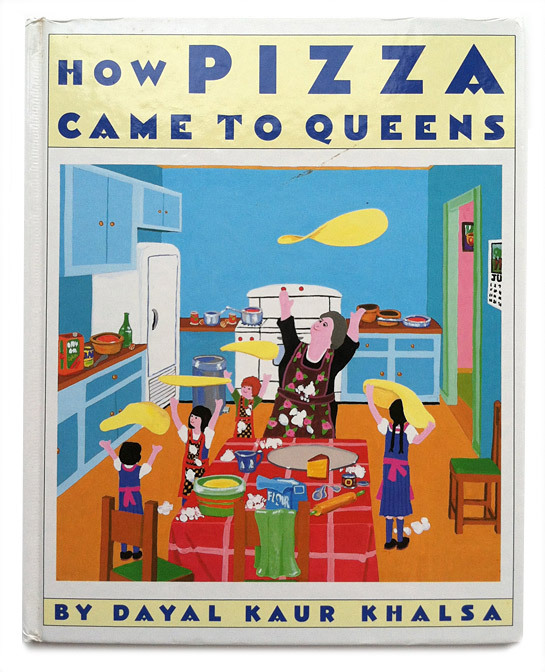 Cover of How Pizza Came to Queens by Dayal Kaur Khalsa. Bon Appetit! cover by Jessie Hartland. 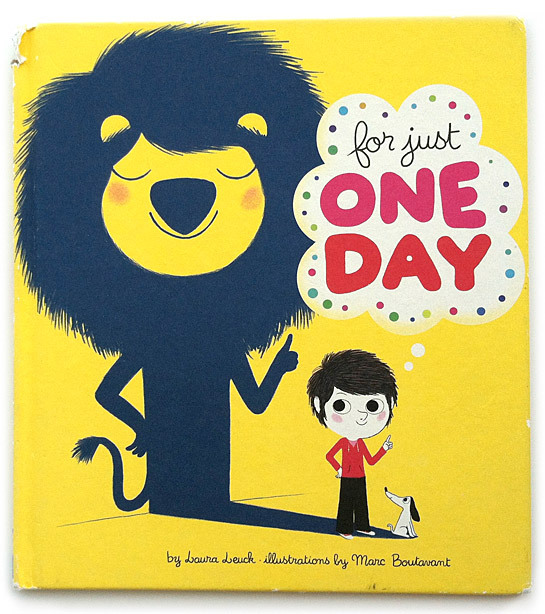 For Just One Day cover, written by Laura Leuck, illustrations by Marc Boutavant. 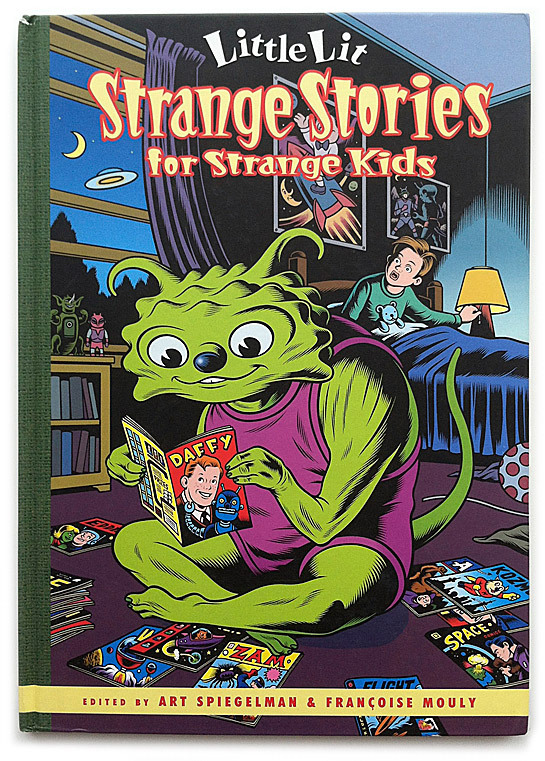 Cover of Little Lit: Strange Stories for Strange Kids. Cover artwork by Charles Burns. 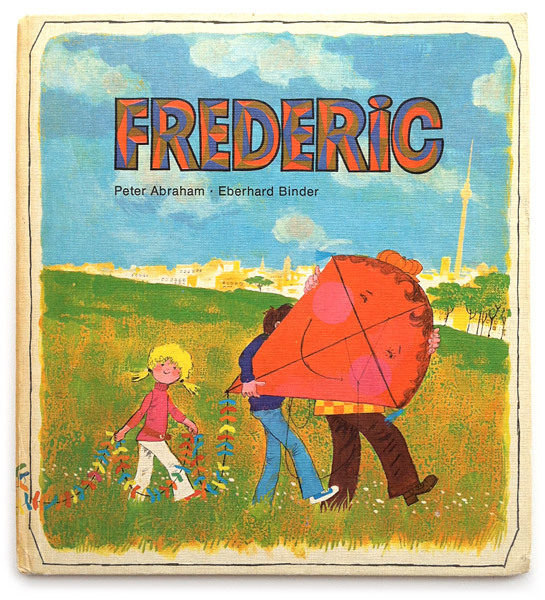 Frederic by Peter Abraham. Illustrated by Eberhard Binder. 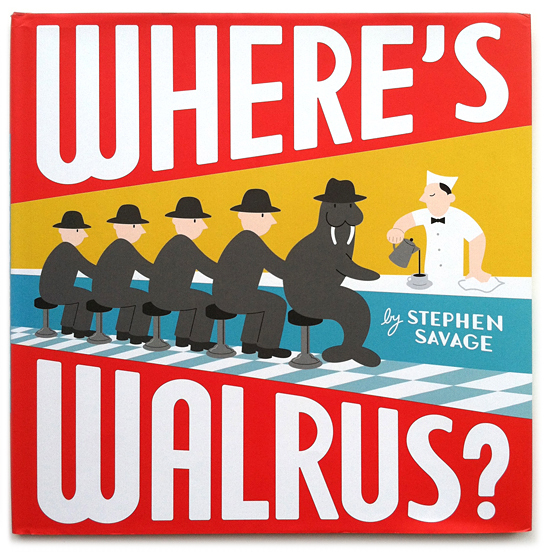 Endpapers for Where’s Walrus by Stephen Savage. I feel honored to be included. Thanks, Robin! I LOVE those red stripes under the black line work! this is such a helpful post. Thanks for sharing. I want to live in this post! 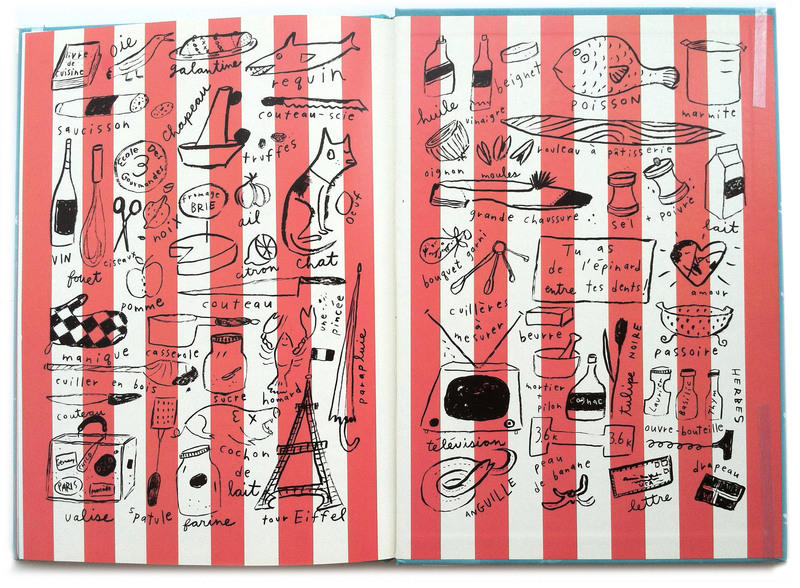 Hooray for this endpapers post! 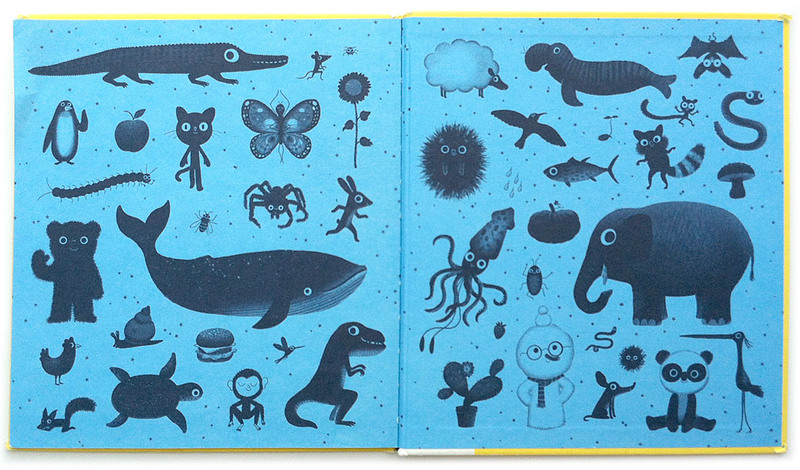 I love the endpapers on Chris Raschka’s Arlene the Sardine. Wonderful. There should be a whole blog dedicated to endpapers. SOPHIE’S SQUASH is a picture book with beautiful end papers. 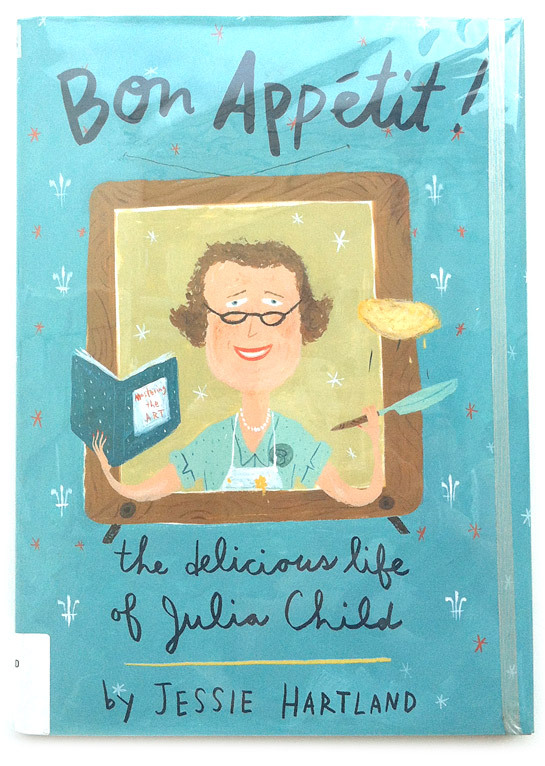 Illustrator Anne Wilsdorf does a great job showing how much the main character loves her squash. i love this fun post robin! thanks for including me. one thing i learned about end papers, after making this mistake, is that you shouldn’t put important content on the edges cause it gets covered up by library jacket covers! endpapers. wow! i never knew that was the official terminology. i have always been a fan of them without even knowing it, plus about 3/4 of the books you featured i own and have read to my kids over and over again. and for the record, your blog is awesome. it’s full of everything i love. so thanks for that!